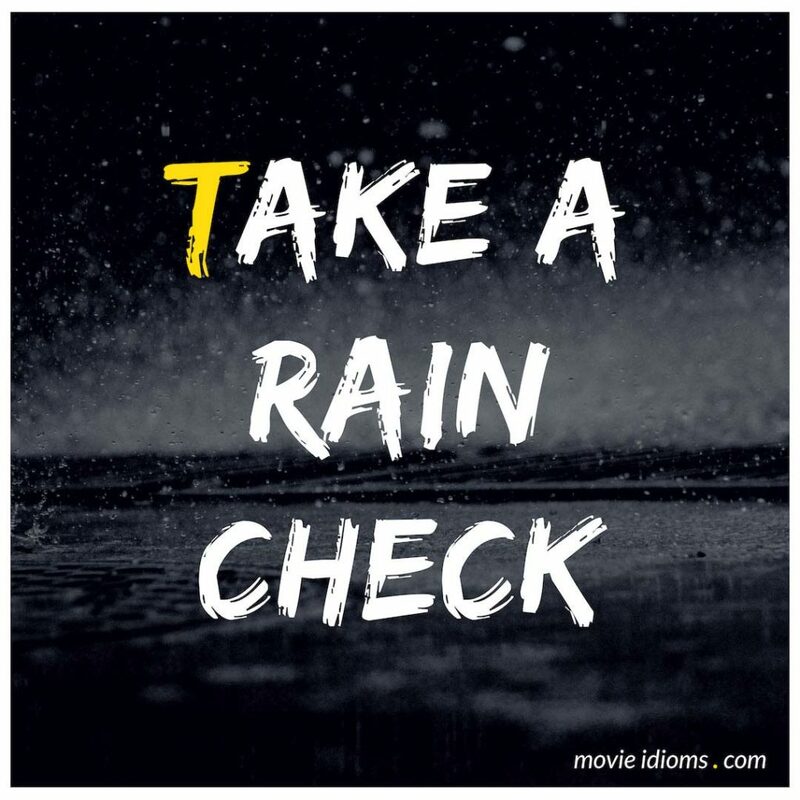 What does take a rain check mean? Eddie: Yeah, if you don’t remember, this here is Rocky. Eddie: You’d better take a rain check on that, Art. He’s got a lip fungus that they ain’t identified yet. Dean Winchester: Sam, clock me one. Come on. Come on. I won’t even hit you back. Let’s go. Dean Winchester: Let’s go. You get a freebie. Hit me. Come on. Sam Winchester: You look like you just went 12 rounds with a block of cement, Dean. I’ll take a rain check. Col. Thomas O’Bannion: Will you take a rain check? Dr. Iris ‘Irish’ Ryan: If it won’t bounce.